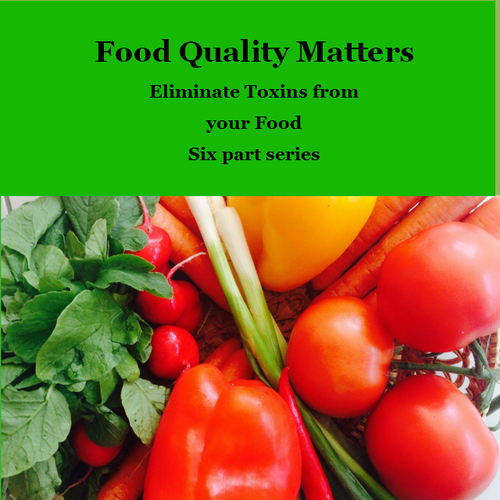 WU Health Coach, Author and Toxin Expert Cheryl Meyer wants you to discover that Food Quality Matters and impacts your health and the health of your family. Join her for this six week course discussing where the toxins are in your food, and why it matters. These are the secrets she discovered when she got autoimmune disease. She reversed her own inflammation and chronic pain by eliminating toxins in her life. Its all about toxic load, and eliminating them one at a time. Class 3-Processed Food/ Fast Food Why they are harming your health. Seven years ago, Cheryl Meyer discovered she was suffering from inflammation and autoimmune disease. She found a functional MD, actively searched out, purged, and replaced toxins in her life, and returned to wellness. Thus began an odyssey that culminated in Meyer's writing the manual she wishes she'd had when she got sick. In her award winning book It Feels Good to Feel Good: Learn to Eliminate Toxins, Reverse Inflammation and Feel Great Again, Meyer explains toxins are everywhere and impacting our health, the health of our children, and the health of our earth. "It's all about toxic load. Each toxin that is eliminated is one step closer to health." Meyer continues: "Reduce the toxins in your life. You will be healthier. I teach you where the toxins are and what to replace them with. When is the last time you felt good? Take your life back today. What are you waiting for? " Cheryl has a BA from the University of California-Berkeley and is a certified health coach, Cheryl M Health Muse, from the Institute for Integrative Nutrition. My 3 greatest achievements: Six years ago, when I got severe muscle and joint pain, I owned my own health, researched and discovered I had autoimmune disease, found a Functional MD, removed hundreds of toxins in my life and significantly reduced my stress and improved my sleep. Although I will always have autoimmune disease, I am now living a life that is relatively pain free. I stay current with research and have helped many people who have thanked me for changing their health with my information. Although I am a graduate of the University of California-Berkeley, at 68 I returned to school to become a health coach so that I could help others. I graduated from the Institute for Integrative Nutrition NYC in March 2017. I wrote a book about my journey and the hundreds of toxins that I eliminated from my life and what I replaced them with, so that I can help others. It Feels Good to Feel Good, Learn to Eliminate Toxins, Reduce Inflammation and Feel Great Again. My book has now won 13 awards. I have done 50 podcasts, and 7 summits to help other discover where the toxins are in their lives, what to replace them with and that they do not need to live a life of pain and pills.